A volunteer, Jasmen Roman, with a young Block Supporter, Zavion. You help make a difference! Every year, hundreds of volunteers donate their time and talents to Camden Lutheran Housing, Inc. to support our community initiatives. Volunteers make new efforts possible, bring fresh ideas to the table, and increase our capacity to do meaningful work that matters. We accept volunteers throughout the year and would love the opportunity to work with you! 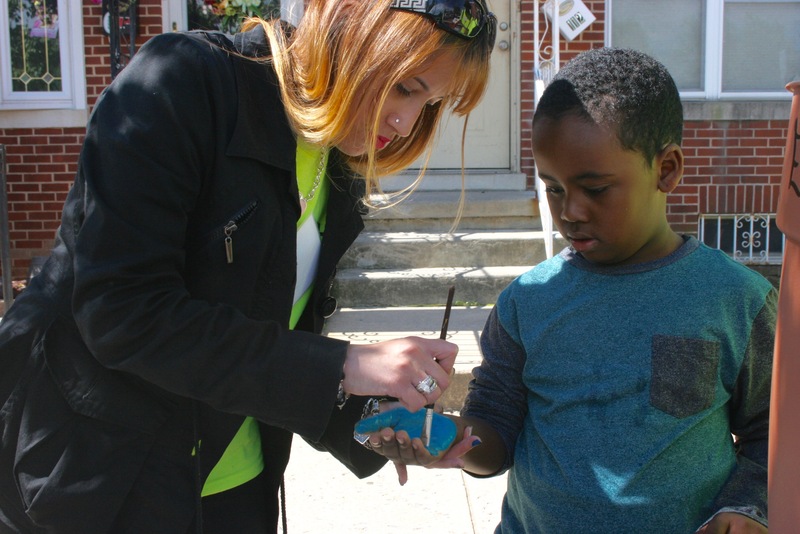 Jasmen Roman, North Camden resident, volunteers weekly with the Block Supporter Initiative. “I help with family events, installs (which involve planting flowers and painting kids’ hands), and holiday decorations. I get to do a little bit of everything and see the difference that makes in my neighborhood every day.” Camden Lutheran Housing, Inc. accepts individual volunteers or volunteer groups – for a one-time project or for a repeat volunteer opportunity. 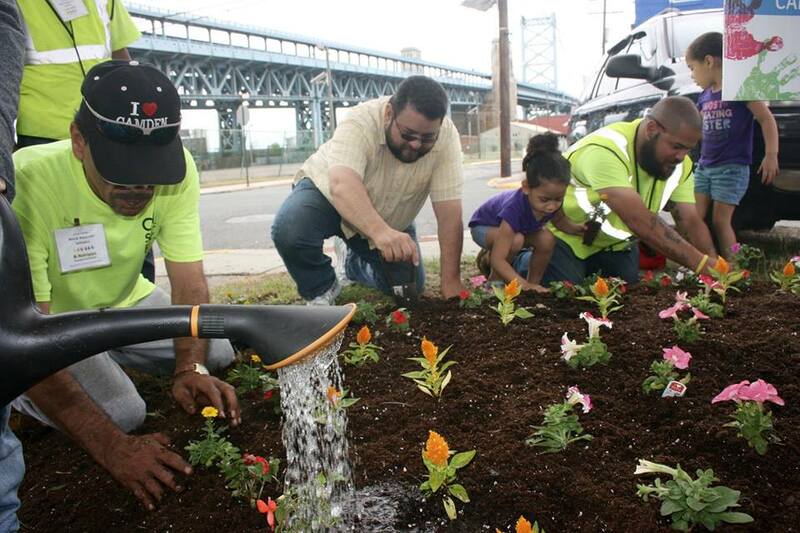 Volunteers plant flowers at a stabilized vacant lot.